The mayor of London and chief economic strategist at Netwealth Investments – Dr. Gerard Lyons. The United Kingdom is set to wave goodbye to the European Union. As British Prime Minister Theresa May is preparing to invoke Article 50, which will trigger two years of negotiations on exit terms, the debate on the future of Britain’s relationship with the bloc continues. With both London and Brussels approaching the talks from positions miles apart, how messy could the divorce end up being? Is it possible to strike a deal that works for both sides? And will Britain be able to minimize the economic impact of leaving the EU? We ask a leading British economist – former chief economic adviser to the mayor of London and chief economic strategist at Netwealth Investments – Dr. Gerard Lyons. Sophie Shevardnadze: Top economist, former Chief Economic Adviser to the Mayor of London, Chief Economic Strategist at Netwealth Investments, Gerard Lyons, welcome to the show, it's really great to have you with us. SS: Dr. Lyons, the EU is refusing to start Brexit talks until the UK pays what it owes to the bloc, which could be as much as 60 bn euros. So is London going to give in and pay its exit fee, or do you think Brussels is bluffing? GL: I think the key thing to be stressed is that the UK is going to trigger Article 50 before the end of March, and then that starts the 2-year negotiation process. Of course, there are already issues as to whether that money that you've talked about should be settled up front. I think the UK's preference is for everything to be agreed together. I don't think that the UK needs to pay such large amounts of money, and also, the point that's being made here is linked to, also, assets. For instance, what's going to happen to the European Investment Bank - the UK has some capital within that. So, it's quite a complex issue, and I feel that the UK will not decide to pay the full amount that the EU has asked. Indeed, I don't think it should. And of course, during the negotiation process, there are lots of issues that need to be decided, of which money will be one, albeit small, but important aspect. SS: So, in that case, I've read in the Independent, that the EU may be even planning to take Britain to the International Court of Justice if UK tries to walk away without paying, or paying less. Will Britain even be able to simply walk away from that? GL: This, I think, is being portrayed as a much bigger issue on the continent, maybe in the corridors of Brussels than it has been portrayed here in the UK. It's important to stress that at the beginning of any negotiation process different sides put down their markers and then it's only when the two sides start to sit down, that then there’s progress on different issues. So, I don't think we should be surprised if now, at the beginning of the process, the European Union is putting down some harsh markers, but the reality, also, is that the UK and the EU economies are heavily intertwined in certain areas. We are a very big export market for the EU, particularly in terms of autos and other component parts. Britain is also the major financial center of the EU, indeed, the global financial center, so there are lots of things where the EU will want this negotiation to go well, and of course, As you've already touched upon, there are one or two areas where they are putting down their markers at the beginning. SS: Now, both sides are starting with uncompromising positions - is it possible the negotiations are going to break down and Britain’s going to have to leave with NO deal? GL: Well, that's always possible. The UK PM Theresa May has already been very open about many aspects of the UK's intended negotiations stance. Of course, there are fine details that the UK will keep close to its chest, but at the end of January this year, Theresa May in her Lancaster House speech, talked about the fact that the UK effectively wants a "clean" break. We can either have a choice between a "clean" Brexit, a "clean" break, or a "messy" break, a "messy" Brexit. The PM has already outlined that the UK wants to be outside the single market and intends to be outside the single market, which of course, used to be called the "internal market" of the EU. The UK to all intends and purposes were also to be outside of the Customs Union. So the UK has already made clear that it's not going for confrontational route, we're not going to try and undermine the four freedoms that underpin the EU - such as free movements of labor and people. The UK is actually deciding to take a "clean" stance, it's highlighted the areas that are important to us, and of course, when it comes to negotiation, there will be fine detail that needs to be decided. Because the UK is part of these negotiations, it wants a comprehensive free trade agreement - that makes sense economically, and as time progresses, I think, it will make sense politically for both sides. So, I think there will be negotiation and the deal. But coming back to your question, is it possible that there will be no deal? Of course, that's possible, but we're trying to avoid that messy, political Brexit and as the PM here in the UK already indicated, no deal is better than a bad deal. SS: Almost half of Britain’s exports go to the EU - £220bn out of £510bn - according to the Office of National Statistics. How badly is the UK going to be hurt by exiting the single market with the EU? GL: The UK is going to do very well after this. Leaving the EU is likely to be one of the best things that has happened to the UK. Bear in mind that European Commission itself points out that 99%of global growth is going to come from outside of the Western Europe in the next two decades. The important thing is to say that Britain needs to position itself in the changing and the growing global economy, have good relationships with China, India, America, Russia, as well as part of this negotiation, having a very good future relationship with the EU. So, I don't think that the UK is going to be adversely affected by leaving the EU and I'm very positive about the prospects, although, of course, you can't leave something you've been in for 43 years and not expect there to be near-term wobbles or difficulties in that negotiation. SS: So, what's it going to be like? I know that former WTO head Pascal Lamy said that the creation of a free trade deal would be pretty simple. Do you think it will be similar to the deal the U.S. has with Mexico, for instance? GL: The US deal with Mexico and indeed with Canada is part of NAFTA, and it's an interesting one to mention because the trade that goes, for instance, between, say the U.S. and Canada, because that's a bigger economic bloc than between the U.S. and Mexico - all that trade is bigger than the amount of trade between the EU and its external partners. Basically, it allows it to operate freely. But going back to your question, yeah, operating under the WTO rules is how the UK operates with over half of global trade, shall we say - WTO rules give the UK a very strong foundation on which to build its future relationship with other countries. But that's very much the strong foundation. On top of that, we want two different things - we want free trade agreements that play to our strengths, are iterative and can be done with fast growing and big economies outside the EU, and we want this comprehensive free trade agreement with the EU. So, the WTO - you used word "simple" - yeah, it's straightforward: we are a member of WTO, currently within the EU, we regain or retake out seat once we leave the EU. SS: Gerard, do you think the UK even needs this free trade deal with the EU? I mean, like you've mentioned, Britain is doing fine with other countries - for instance, United States, you guys don't even have this free trade thing between you and you're doing just fine. U.S. is still the biggest UK's investor. GL: The important thing is, because we've been in the EU for over 40 years, certain business models of certain firms and of certain sectors are very much predicated on being within the single market. For the supply chain and the auto sector it is important, for pharmaceuticals is important, and for parts of the City it's important.. So in terms of that aspect, it makes sense to have a comprehensive free trade agreement, but can we live without one? Yes. Of course, what we're talking about here is making it as smooth as possible in terms of leaving the EU. But, the UK - one has to say - has not done particularly well in many areas of the single market. We, as the PM Theresa May has indicated here, need to leave the single market. That makes complete economic sense. We also, to all intend and purposes need to be outside the Customs Union that makes complete economic sense. Now, based on the fact that being outside the single market, being outside the Customs Union, is overall positive for the UK, there's no doubt that certain sectors - pharmaceuticals, others, parts of the City, and you could also say, issues linked to agriculture, will benefit from a sensible free trade agreement with the EU. SS: Prime Minister May dismissed rumours of an early general election - despite reports that her party is eager for a snap vote. Do you feel she should go to the polls early and earn an actual mandate of her own, establish her base as she goes into the Brexit negotiations? GL: I don't have any political affiliation, I am an independent economist, so, it's for the Conservative Party and the government to decide, but the likelihood is - it seems - that the UK will decide not to, or the PM will decide not to call for early election. There is a couple of issues here. One is the fact that we have a fixed-term Parliament now in the UK - in past we didn't, so while we could call an early election here in the UK, there's that slight complication. And on top of that there's obviously the issue that the PM needs the way up, which is in your question as to the pros and cons. I think there's little doubt in most commentators' minds that if the PM were to call an early election, she would substantially increase her majority, putting her in the strong position both domestically and in terms of her relationship with the EU, but the current feel around here in London and Westminster is that she will not call for early election. One thing we do know for certain is that she's going to trigger Article 50 before the end of March, so maybe, if she triggers that, she may not want then the complication of an election. But if there was an election called, it would be hold in the first weeks of May. SS: London is considered to be world's financial center - will this status slip away with Brexit? GL: No, London is going to remain the major financial center of Europe and one of the world's leading global financial centers. It's very difficult to replicate the skills, the knowledge, the experience and the infrastructure that we have here in London. The key issue is that our competition is with global centers such as New York, Singapore, Hong Kong - so, in terms of Western Europe, there are niche financial centers in Luxembourg, Dublin, etc. These niche financial centers will remain, but London will continue to be the dominant financial center of Europe and one of the two major financial centers of the globe. SS: Well, German Central bank has already warned companies they’ll have to move their EU hubs out of London completely and avoid ‘clever schemes’ - how will London minimise the damage of this exodus? С)When we look at London, people do business in London for a whole combination of reasons, not just because of what they want to do here, but London's a good place in which to do business across the globe. There are one or two financial firms who have their business in London for access to the EU, because of passporting - that passporting issue will have to be one of the issues to be discussed in the next 2 years. But we have regulatory equivalents, London is regulatory equivalent, it is a good place to do business from, London has the capital markets of the EU. Now, is Frankfurt really going to try and challenge London? They may try and attract certain businesses - same thing happened to a smaller extent before, when Euro was set up, or the single market was set up in the early 90s. Frankfurt then wanted to attract some business, some big trading desks in London moved their operations to Frankfurt - within two years they were all back to London. Really it's about where customers want to their business, where the market is. Of course, there are issues that need to be addressed, such as the need for London to attract skilled labor and about need for London to have regulatory equivalents with the EU. But the key point here is that London competes globally; Frankfurt, Paris, etc. - they are trying to attract some of the business, they may be successful for certain businesses, but overall there's no doubt London remains dominant. SS: I don't know, me, as I girl, I would vote for Paris, for sure. I know, Paris officials, they are stepping up their pre-Brexit game - a team of French officials went to London to lure London-based firms to Paris for the food, culture and romance, and they are like, you know: "How many of you have taken a girl out on a date in Frankfurt", you know, "when you have Paris!". Do you think Paris can win the battle for London's place in the EU? GL: Look, there's no doubt Paris is a fantastic place, but Paris will not win when it comes to the financial markets. Let's put it this way: if the UK had remained within the EU, the previous coalition government here in the UK, that wanted to remain, pointed out that the City was constrained by the regulatory environment within the EU. I did an event in Paris last year, after the referendum result, it was alongside Mr. Trichet, the former President of the European Central Bank and both of us spoke to the so called "grace and good" of the Paris' financial world, 80-100 people. I asked them, how many of them expected Paris to challenge London - and the answer was zero. One or two of them said that yes, some businesses may move certain strands of their business to Paris, but the reality is that to be a major financial center, you need to have the right regulatory environment. London has that. Clearly, regulations need to be set, in many respects, globally, but there's no doubt that here in London people worry about the business side of moving to Paris. That's indeed why London is such a dominant city in terms of not just internationally, but so many French people based here. So, you've touched on a very important issue - culture and creativity. To succeed in the changing global economy, countries or cities need to have a combination of culture, commodities, or, indeed, the need to have the right skills in place, and London is the creative center. As long as we remain the creative center... And one of the key issues for the UK to address is that while we need to have sensible immigration policy, we need to be open to skilled labor from across the globe. SS: The Mayor of London has touted an idea of a “London visa” - a document that would allow EU nationals to live and work in the city of London specifically. Can he really do that? Is London’s economic leverage enough to pressure the government? GL: It's an interesting idea. For the moment, I don't think it has enough traction. It may actually come to be a more important issue in the next few years. The UK has many challenges and great opportunities, and I'm very positive about the UK, but one of the challenges we have is the imbalance domestically between London and the rest of the country. London is a global city, its productivity is much higher than other parts of the UK, young people tend to migrate en masse to London. So what we need to do here is to focus on getting the domestic agenda right, as well as getting our relationship with the EU right. Therefore we need to have sensible domestic economic and industrial policy, the PM, the government has outlined that. So when you come to the issues specific to London, I don't think they will be the most important initial issues, but one of the issues that we will see in the coming years is the idea of devolving more power to cities and regions across the UK - maybe that will become a more important consideration then. SS: UK’s Chancellor of the Exchequer Philip Hammond said that Britain could employ other means to keep its economy competitive, if it doesn’t get an all-inclusive trade deal with the EU - what exactly will Britain do to stay attractive to international business? Is it going to turn into a corporate tax haven, for instance? GL: No, it's not going to do that. But the reality of this situation is this: sensibly, Britain needs to be outside the single market. Sensibly, Britain needs to be outside of protectionist Customs Union. Therefore, Britain needs a "clean" break, not a "messy" Brexit, and that "clean" break involves a comprehensive free trade agreement. But whatever happens, the UK needs to compete internationally. Since the referendum result we've seen huge amounts inward investment to Britain from America and from Asia. We need to compete by having a fair trade, efficient trade, but also we need to have a sensible taxation system. The one thing that we will not have is the race to the bottom. Workers' rights will be protected, environmental rights will likely be protected. But when it comes to taxes, it's about making sure the UK is competitive. Already, in France, ahead of the presidential election, they are talking about cutting corporate taxes. President Trump has talked about cutting corporation tax. But we need to make sure that companies, international as well as small, medium-sized ones, pay their fair share of tax. So, it's not a race to the bottom, but it's about making sure that the EU understands that UK needs to compete globally. SS: So, with the Article 50 looming, Scottish First Minister Nicola Sturgeon is planning a counter-move - saying a second independence referendum is inevitable. Can the government in London stop the independence movement like it did last time? GL: I don't think this is the case of stopping the independence movement. What's being made clear is that the timing of the referendum if there's to be a second referendum will be set by Westminster. So the likelihood is that the second referendum will not come - if it happens - before the end of the Article 50 negotiations being completed. It's by no means clear cut if Scotland has a second referendum that people in Scotland will vote to leave the UK. In the first referendum they voted to stay, Scotland gets a very good deal, shall we say, from the rest of the UK, and it's likely that when they look at the pros and cons, the pros of being in the UK, outside of the EU, but position itself globally - that will outweigh. But of course, like all these issues, it's not just about economics, there are emotional and other factors that come to play. But coming back to your question, yes, the PM can influence the timing of that referendum if there's to be a second referendum. SS: But just like Scotland, Northern Ireland voted ‘Remain’ in the Brexit referendum. Now it wants the Brexit treaty to spell out its right to join the EU immediately if it ever decides to unite with The Republic of Ireland. Should Belfast be getting these special conditions? GL: In the UK referendum debate, and it was a 4-months debate, and we had a huge turnout of people - one of the key controversial areas was what would happen to the relationship between the South - the 26 counties and the North - the 6 counties of Ireland, and where would the border be. At the moment, we have peace in Northern Ireland, and everyone expects that to continue, and we have an open border between the North and the South. So, it is a complex area. I've spoken in Ireland last year, ahead of referendum results, I've debated with Ken Clarke who's a leading politician here, and one of the points that was made by the politicians on the Irish side is that they would seek a "special relationship" with the EU, if the UK votes to leave. So, it is a complex area, but when it comes to Belfast, Northern Ireland, like Scotland, receives high spending. Northern Ireland, per person, receives 21% more spending than the average person in the UK; Scotland, per person, receives 16% more spending than the average person in the UK. That is government spending. So, there's a lot of fiscal policy spent in Northern Ireland and in Scotland, rightly so, but that relationship between Northern Ireland and the South of Ireland is a complex one, and that's seen by many people as a controversial area, but I think, common sense will prevail there as well. SS: Brexit secretary David Davis is saying that Britain will remain open to EU migrants even after leaving the bloc - angering the supporters of the Leave campaign, whose core concern was immigration. But just in 2016, 165 thousand people came to the UK from the EU - that's according to the ONS. Can Britain really afford to shut the door on all those people? GL: There's two points here. First, everything, before the referendum result and after showed that people voted in order for three things - first was sovereignty, it was about returning power in lawmaking to Westminster, so we will not be run by Brussels but we would be run more and more in the future from Westminster. The second issue was migration and the third issue was the economy. But migration... the issue in the campaign and the issue since has not been that Britain will shut the borders completely, letting no migration - that's silly. The point has always been that Britain needs a sensible migration policy. Low migration does not mean no migration, and the issue that was raised in the campaign and has been articulated since by David Davis as you said in your question, it has been about having a sensible migration policy that's good for the overall economy. Naturally that means that we will accept migrants, not just from the EU, but from across the world - the question is that we have to decide what type of people, skilled labor, unskilled labor and what sectors we want them in. So that is one of the areas that is being addressed here in the UK, and the important point for your viewers is to bear in mind that it's about domestic policy alongside our Brexit policy, and it's about positioning the UK to do well globally. Therefore, we will have migration, but at much lower levels of migration. SS: Alright. Dr. Lyons, thank you very much for this interview. 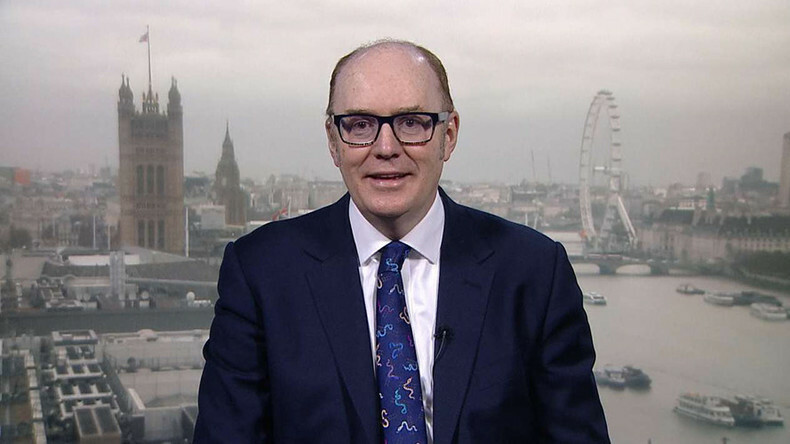 We were talking to Dr. Gerard Lyons, prominent economist, Chief Economic Adviser to the Mayor of London, talking about Britain's upcoming split from the EU and what it will mean for the economic ties between the UK and the bloc. That's it for this edition of SophieCo, I will see you next time.